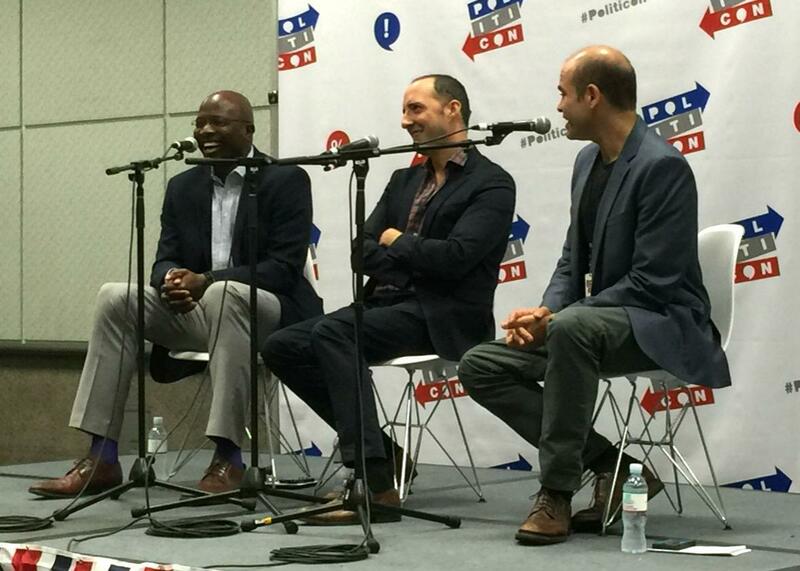 The Gist: Tony Hale and Reggie Love panel live at Politicon, and talk show karaoke. Actor Tony Hale plays the assistant to Julia Louis-Dreyfus on HBO’s Veep. He’ll compare notes with Obama’s real-life body man, Reggie Love. Reggie Love, Tony Hale, and Mike Pesca at Politicon in Los Angeles. On The Gist, we bring you a Pesca-moderated panel recorded live from Politicon in Los Angeles. Panelists include actor Tony Hale, who plays a body man on TV, and Reggie Love, a real-life body man for six years. We’ll learn what goes into their respective roles—for Love, working as Barack Obama’s right-hand man and confidante throughout the 2008 campaign and into his first days at the White House, and for Hale, playing the assistant to Julia Louis-Dreyfus’ VP and now president on HBO’s Veep. Love’s the author of Power Forward: My Presidential Education. For The Spiel, the return of talk show karaoke. The Rachel Maddow Show on MSNBC. Watch Rachel as she breaks down the big headlines for the local threads that tie them all together. Weeknights at 9 p.m. Eastern time only on MSNBC.